Follow these rules to stay fit and free yourself of unpleasant side effects. 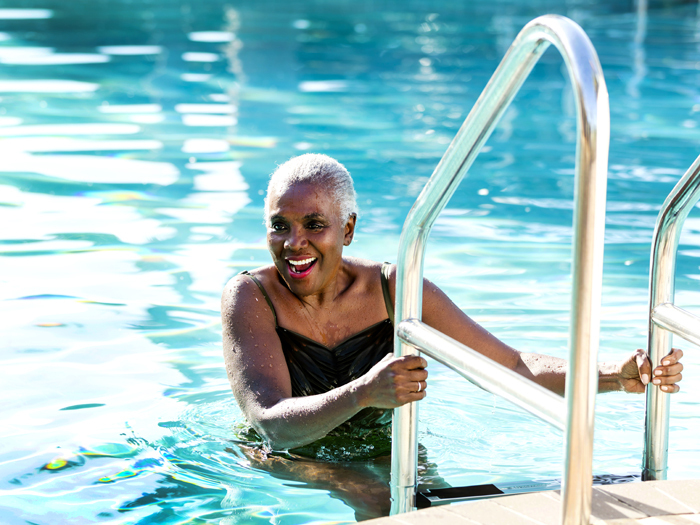 The number-one rule of exercising with arthritis: Do it! Science backs this up. 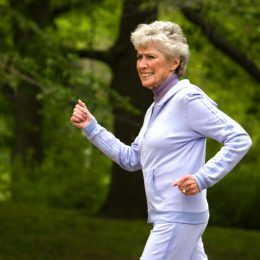 One 2016 study in Arthritis Care and Research found just 45 minutes of exercise per week—one-third of the national exercise guidelines—helps physical function in people with osteoarthritis, the most common form of arthritis. In the study, people who exercised 45 minutes per week were 80 percent more likely to maintain or even improve their physical function, compared with those who spent less time moving. This is because exercise addresses many of the factors that can lead to progression of arthritis, increased pain, and reduced mobility. As the saying goes, “motion is lotion,” says Brandon Erickson, M.D., an orthopaedic surgeon at Rothman Orthopaedic Institute in New York. As we get older, we don’t develop as much synovial fluid, which acts like WD-40, helping joint surfaces glide easily over one another, he explains. However, staying active can encourage both the production of more synovial fluid and the use of whatever you do have. 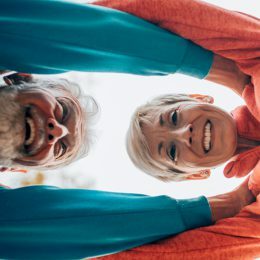 More than that, strengthening the muscles that surround and connect to your joints can reduce stress placed on the joint itself, helping ease pain and prevent future damage. Plus, exercise is an important factor in maintaining a healthy weight. That’s valuable since extra weight adds stress to joints and worsens arthritis over time, Behrns says. The bottom line: If you have arthritis, exercise is absolutely a good idea. But avoiding pain requires some considerations and may look slightly different for everyone. Here are the dos and don’ts of crafting your perfect workout plan. “When it comes to promoting overall health as well as healthy joints, it’s important that your workout routine includes cardiovascular, strengthening, and mobility exercises,” Behrns says. Each has unique benefits that work best together. Cardiovascular exercise: Great examples include water exercise, cycling, dancing, and—if your joints tolerate it—brisk walking or jogging. Learn more about how much cardio you need and the best type of cardio for you in this simple guide. Strength exercise: Bodyweight exercises as well as those performed with resistance bands, free weights, or strength machines can help build muscle and reduce stress placed on the joints. Bonus: If your strength workouts are structured in circuits, it will help elevate your heart rate and double as a cardio session. This 20-minute routine and this five-minute circuit are great examples. Mobility exercise: Both static stretches (reaching and holding) and dynamic stretches (where your limbs are moving rather than reaching and holding) can help you maintain or improve your pain-free range of motion, Behrns says. Yoga is another great activity. Start by adding these four stretches into your daily routine, and then try to incorporate yoga into every week. Want in-person guidance? SilverSneakers gives you free, unlimited access to fitness classes designed to keep older adults strong and independent. Check your eligibility instantly here. Already a member? Find a location here. It’s okay to sweat with arthritis! High-intensity exercise—meaning you feel like you’re working at an 8 or above on a scale of 1 to 10—is critical for gaining strength and endurance, and can be part of anyone’s routine, given the right progressions. “My recommendation is to start with less-intense activity and gradually progress based on how you feel, especially if you’re not used to exercising,” Behrns says. As you feel able, you can increase intensity by walking faster, upping the resistance on your stationary bike, or lifting heavier weights. The best part of exercise intensity is that it’s relative: Aim for an 8 on your scale and no one else’s. Over time, you’ll see that your 8 is a lot faster or heavier than it once was. Having arthritis doesn’t always mean high-impact activities are off-limits. In a 2015 study in Medicine and Science in Sports and Exercise, women with mild knee osteoarthritis who performed higher-impact movements (such as jumping on and off of a step) three times per week improved their knee cartilage quality 7 percent in just a year. When integrating higher-impact movements like running or jumping into your workout routine, start small and increase gradually, Behrns recommends. Once you feel comfortable with no- and low-impact exercises such as swimming and cycling, try exercising on the elliptical and walking. And if that feels comfortable, you can move toward plyometric exercises such as skips, hops, and jogging. Along the way, listen to your body and scale back if you experience joint pain during or after exercising. Any discomfort you feel in your joints during or after exercise is an indication you may need to decrease the impact, intensity, or duration of a given workout, Behrns says. If you experience any joint pain during a workout, immediately stop what you’re doing. You can treat joint swelling with ice (20 minutes on, 20 minutes off) and limited use of an anti-inflammatory medication such as ibuprofen as needed, Dr. Erickson says. Before stocking up on meds, he recommends talking to your doctor about which anti-inflammatory over-the-counter medications are safe for you. Ease back into exercising the affected joint only after the pain and swelling subside. Knee arthritis is the most common form of osteoarthritis, but not everyone who has arthritis experiences it in their knees. Arthritis can also affect the spine, hips, and shoulders—or any other joint. It’s important to understand which of your joints have arthritis and tailor your workouts accordingly. For example, high-impact exercises, walking on an incline, and leg extensions commonly aggravate more advanced cases of knee and hip arthritis, but they don’t have any effect on arthritis of the shoulder. On the other hand, overhead movements that require a lot of shoulder mobility as well as any shoulder raises that keep the hands far away from the body can be painful for those with shoulder arthritis, Dr. Erickson says. For your safest plan, talk to your doctor or a physical therapist to help determine which exercises will help you most—and which to avoid—before you start a new routine. Also ask for guidance on how often and how much you should do them. Previous PostWhat Are the Early Warning Signs of Alzheimer’s Disease?